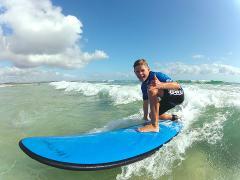 We love teaching people to surf. It’s our favourite past-time … our passion … and we’ve been doing it since we were kids. And you know what? It’s really not that hard to do!